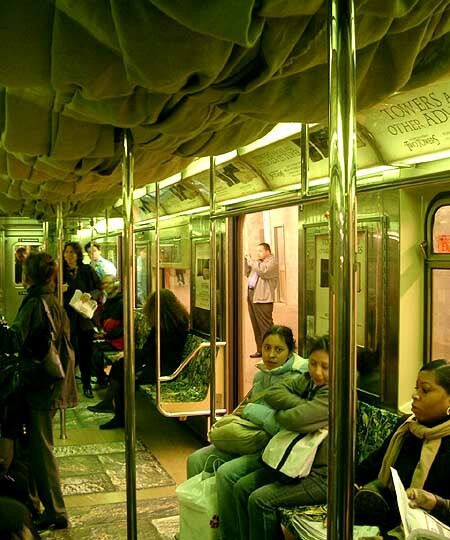 No, really--New Line Cinema decorated a NYC subway train (the S shuttle) as an extremely stupid looking "Shire" train, complete with fake stone flooring, burlap (?) sacks on the ceilings and green lighting. Further photos of this abortion of a media campaign can be found here.